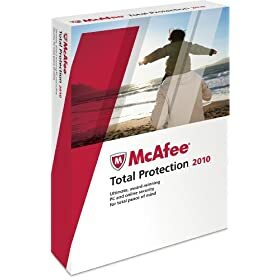 Through tomorrow (12/4), purchase McAfee Total Protection 3User 2010 from Amazon.com and receive a mail-in-rebate for the full purchase price + get FREE Super Saving Shipping. Important: You must purchase the software from Amazon and not a third party seller on Amazon to get the rebate. Order the item from the link above. You must make your purchase by December 4 and the rebate information must be received by January 4, 2010. Ay carumba! I just clicked on the link to the form! Sorry! Should've checked that out first!! Perhaps I need sleep :O Okay, since I'm already here, I'll throw this out: Do they price adjust on Amazon? I'm pretty new (read: clueless) over there! If you already bought it and it's now a lower price, will they adjust? I bought this on the 3rd but can't remember the details on the rebate! I know I saw it on the screen when I bought it but is there something I have to fill out? I also just saw it on Amazon for $30…is that a different deal? Help, please! Can't afford to mess up this rebate! Thanks for your time! Carla, if you look to the right of your screen under "More Buying Choices", you can purchase it from Amazon for $70. The link you have said sold by Galastics and fufilled by Amazon. Is this the correct one? I really need this! Thank you!